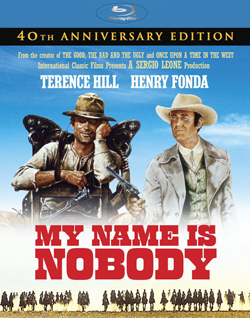 Read my review of the Blu-ray release of the Sergio Leone-produced Spaghetti Western jape My Name Is Nobody, out this month from Image Entertainment, at Slant Magazine. This entry was posted in film, movie reviews and tagged blu-ray, henry fonda, Image Entertainment, My Name Is Nobody, sergio leone, slant magazine, spaghetti western, Terence Hill, Tonino Valerii. Bookmark the permalink.